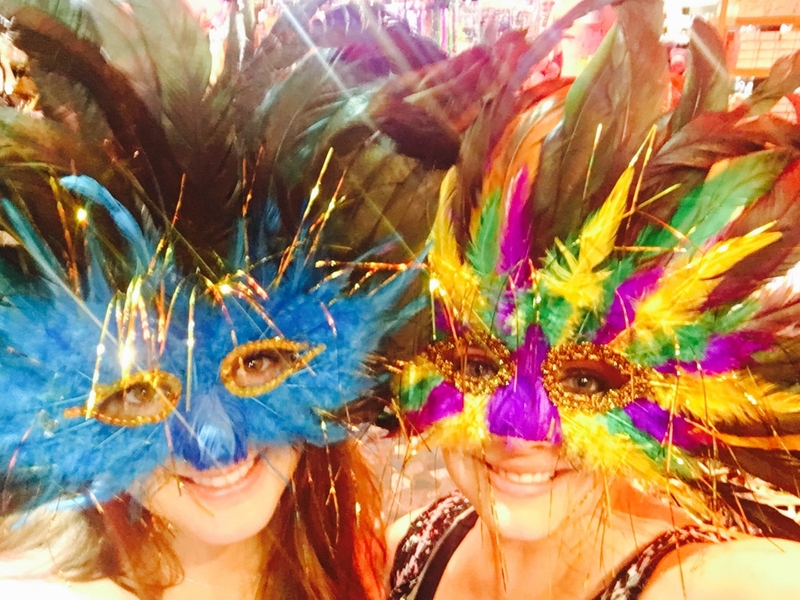 My best friend and I spent 2 days exploring New Orleans after taking a Caribbean cruise out of the port of New Orleans (which is a great way to see a portion of the Mississippi River!). 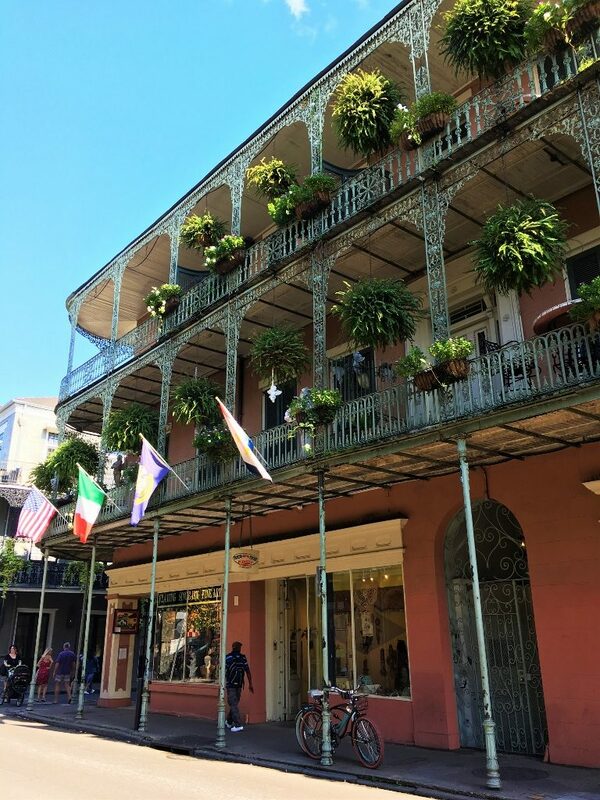 With just 2 days and 2 nights to visit New Orleans, we had to pack a lot in to a short amount of time. 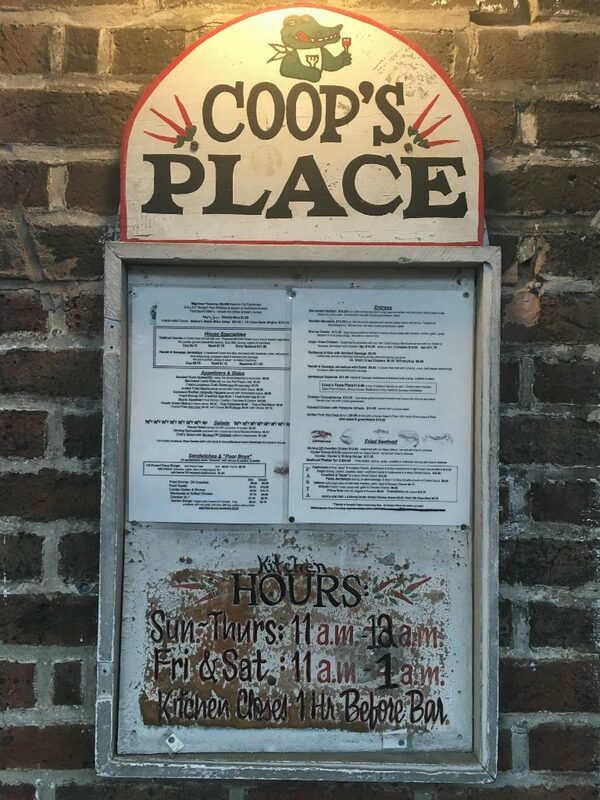 Here’s a list of the top things we did during our visit! 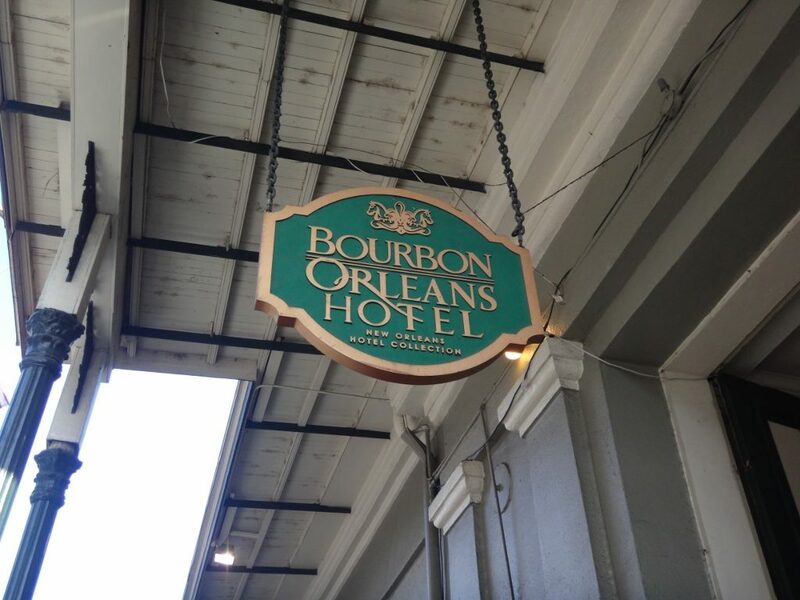 Located in the heart of the French Quarter, Bourbon Orleans Hotel is the perfect location for a short trip to New Orleans. 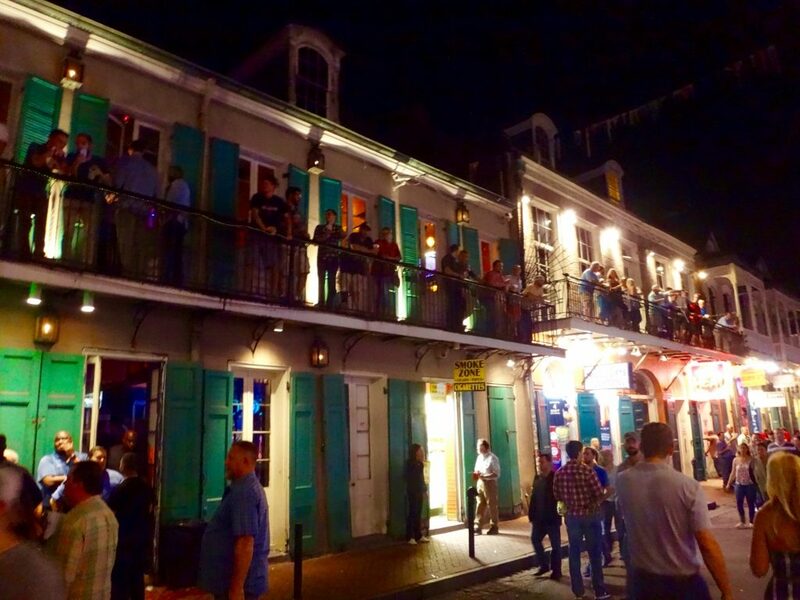 The hotel is tucked away on Orleans Street between the famous Bourbon Street and Royal Street. 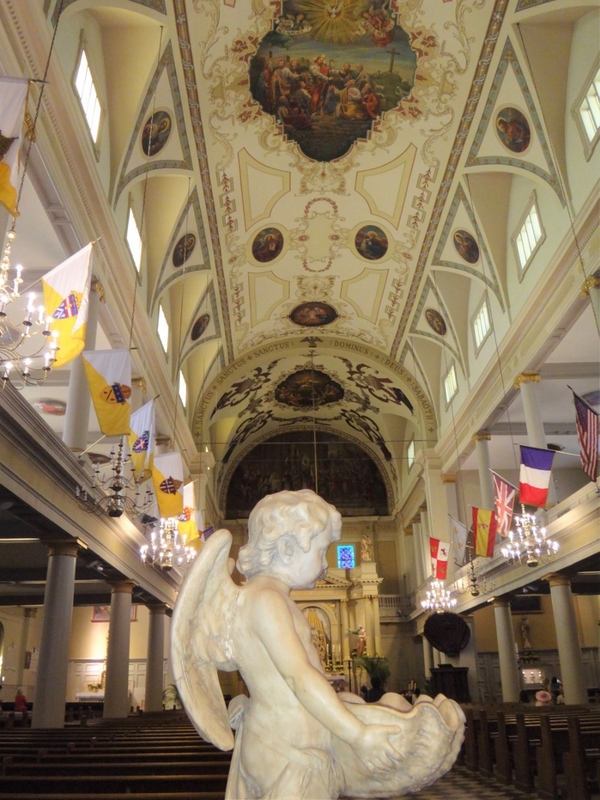 This historic and beautiful St. Louis Cathedral is worth a quick visit if time allows! 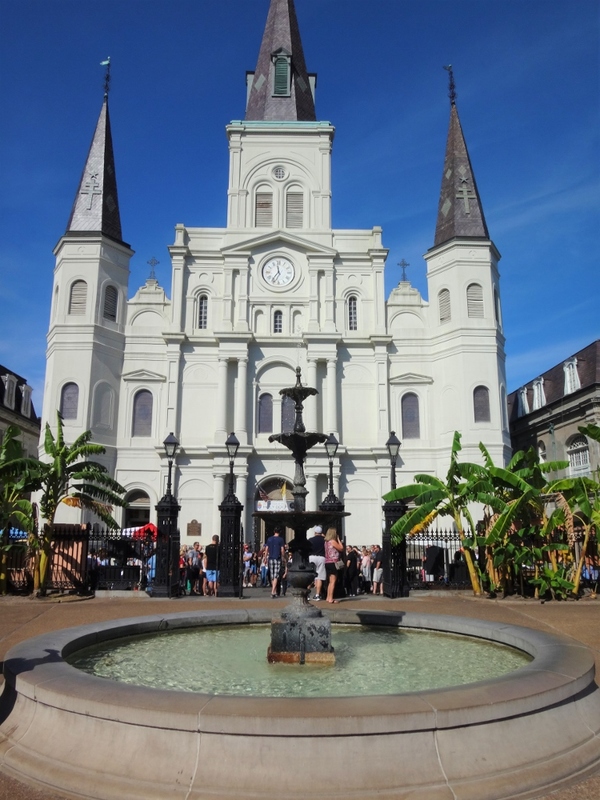 Just in front of the St. Louis Cathedral is a scenic park in the center of the French Quarter. 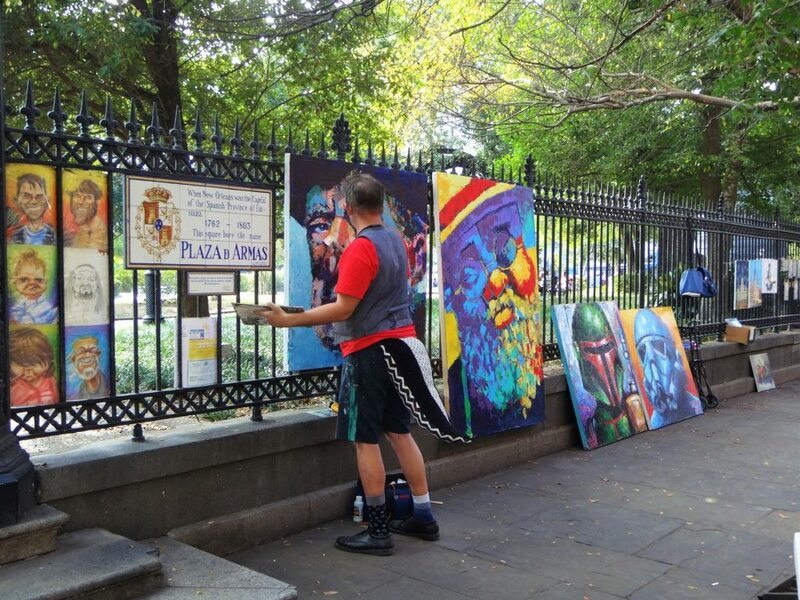 Don’t miss all the street artists surrounding the park! 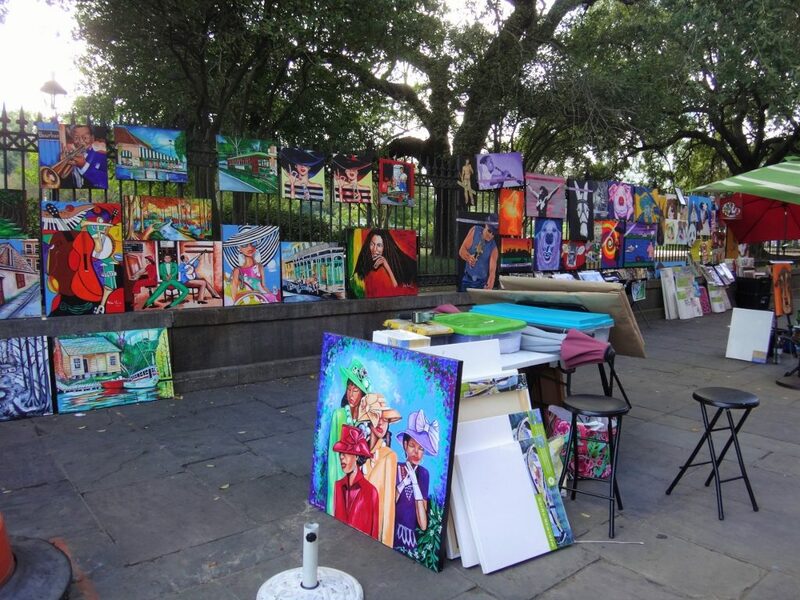 TRAVEL REVIEW: Jackson Square Must Do! 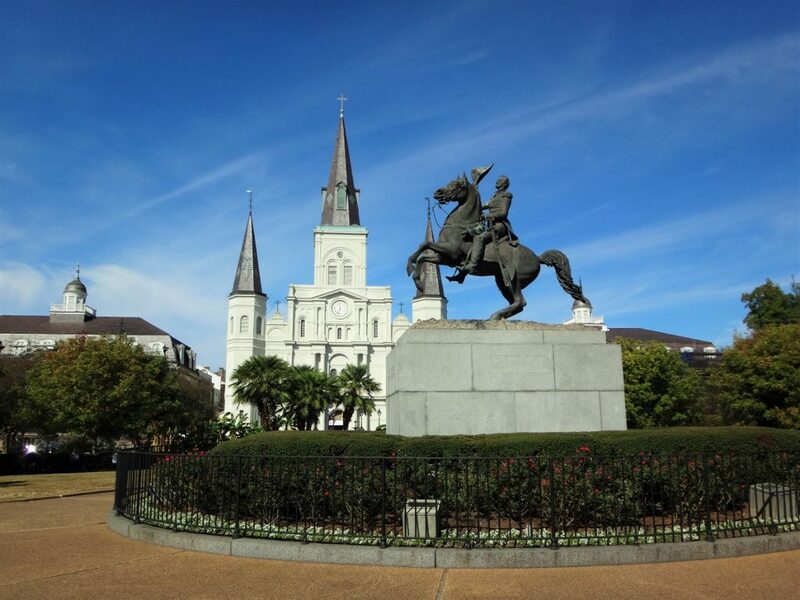 You won’t miss the lines of horse-drawn carriages right outside Jackson Square. 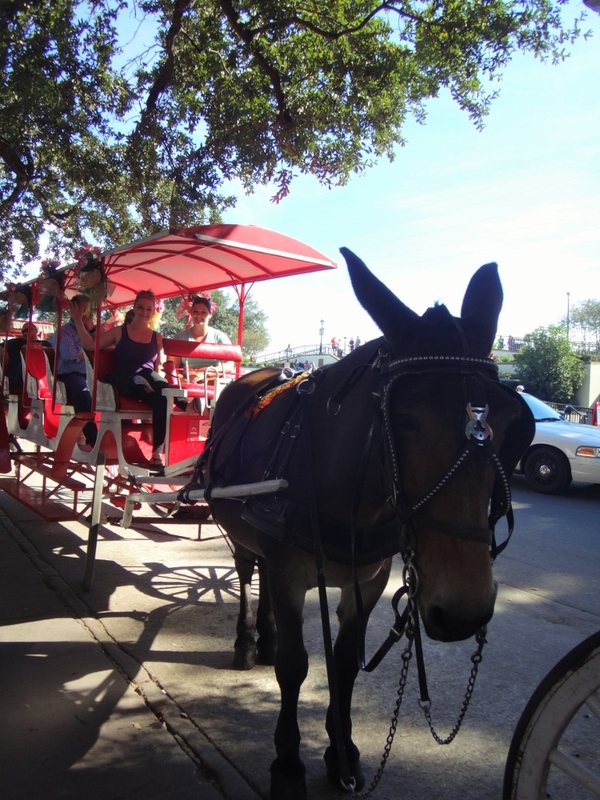 Look for a carriage that’s almost full, as most guides won’t leave until they have a full carriage. 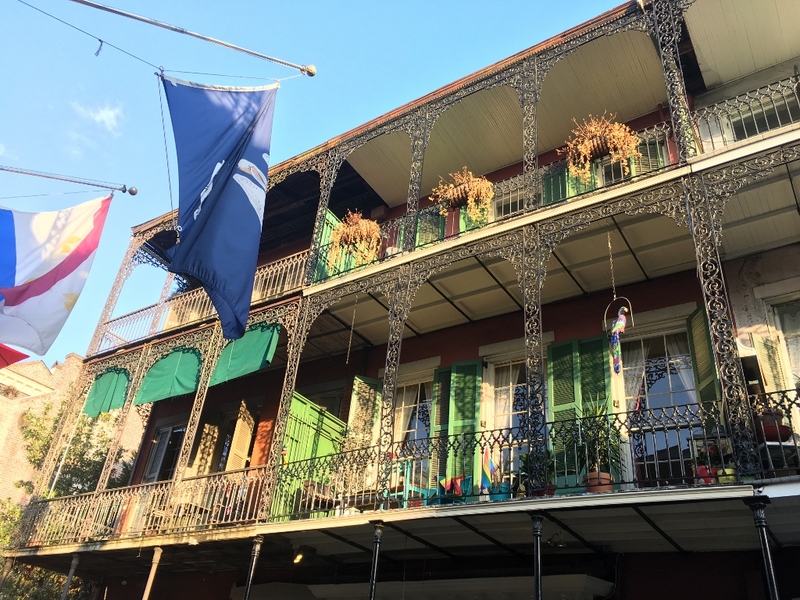 This is a great way to get a quick overview of the French Quarter. 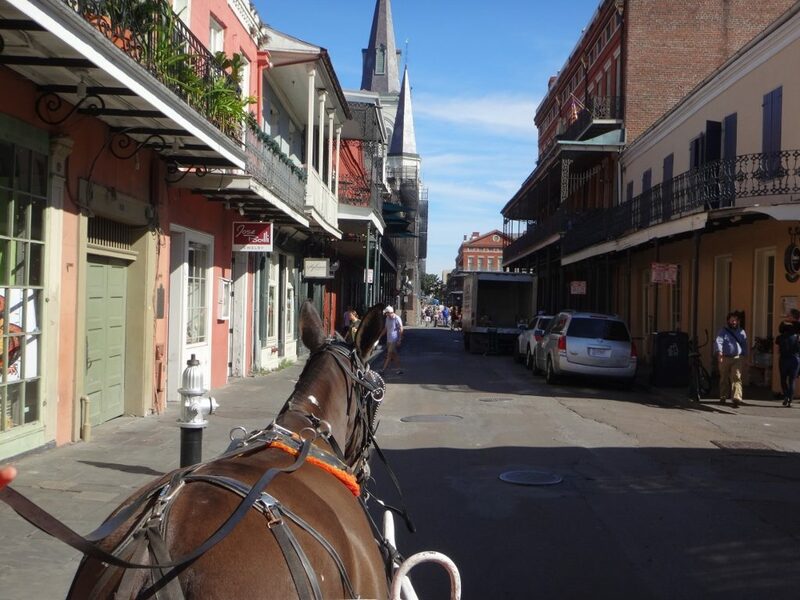 The carriage ride lasts about 30 minutes (you can opt for a longer tour that includes the French Quarter and the cemetery if you have time). 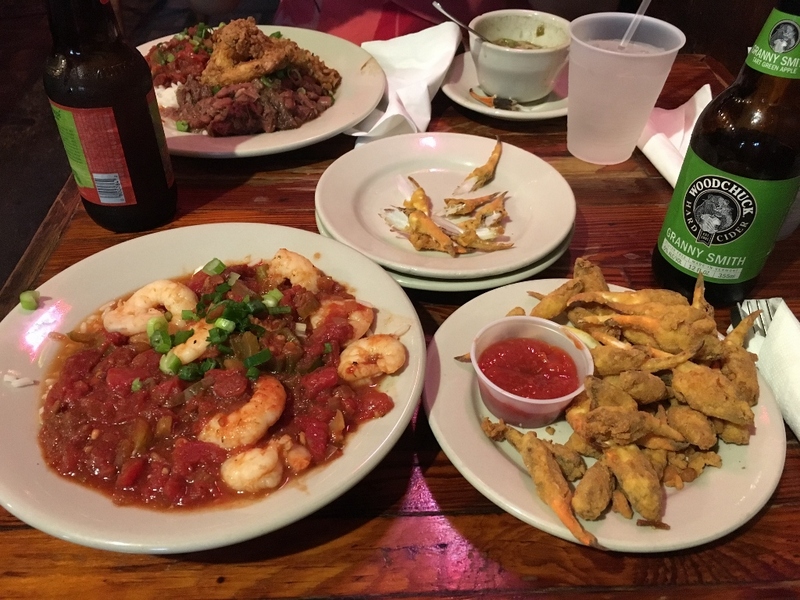 You can’t visit NOLA without having some catfish! 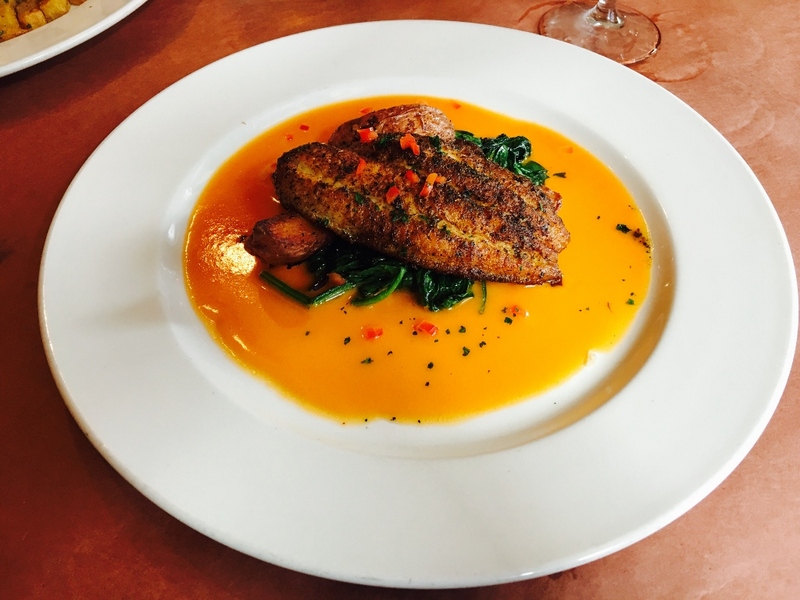 I had this amazing dish at Muriel’s Jackson Square – Blackened Catfish served with roasted new potatoes, dill and red onions, laced in a Crystal hot sauce butter. 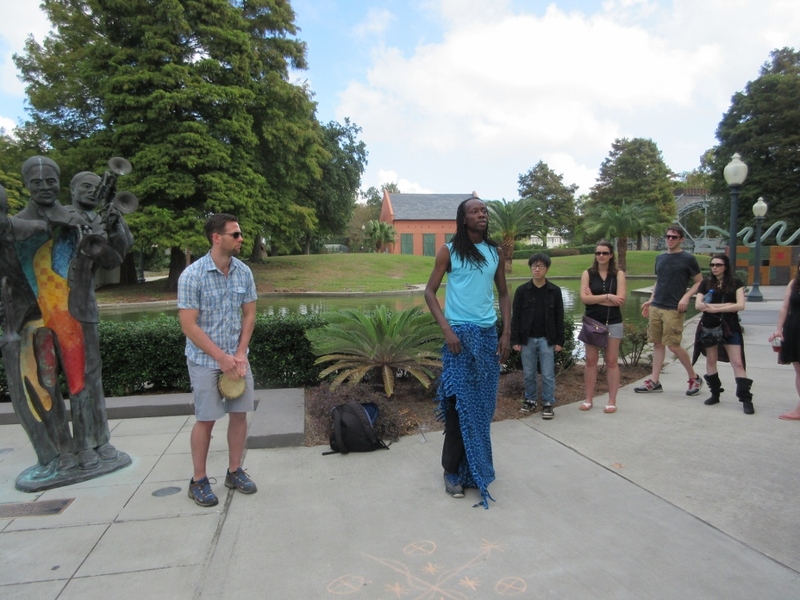 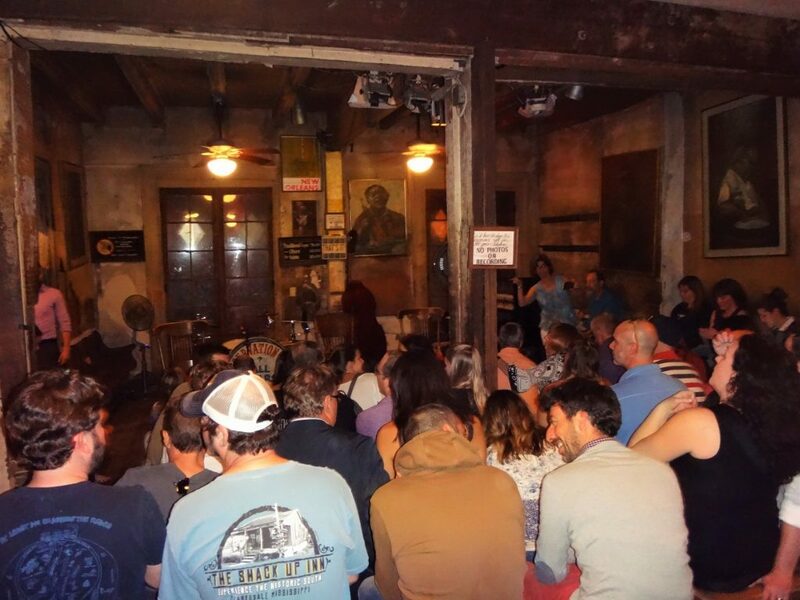 We went on the 90-minute New Orleans Voodoo Tour which gave us an interesting insight of the origins of Voodoo and its importance in New Orleans culture. 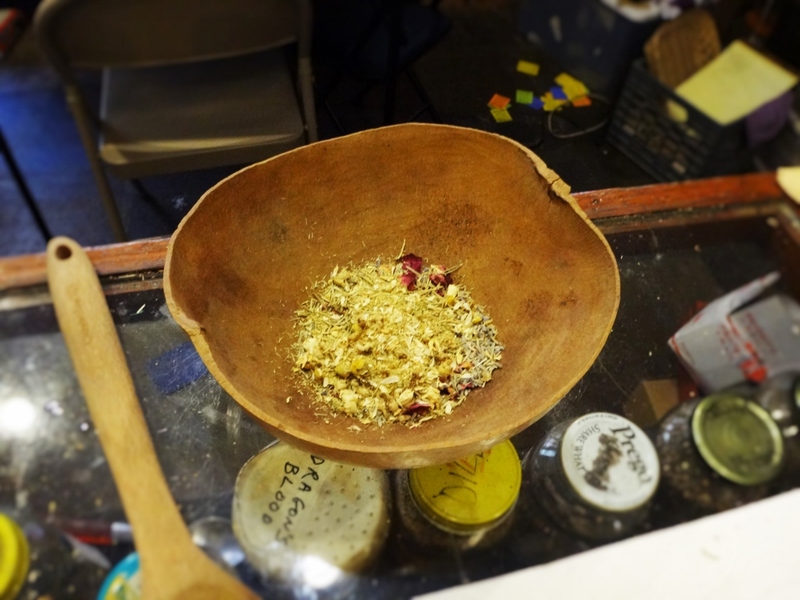 We were able to stop into a little shop where I got a custom-made bath tea. 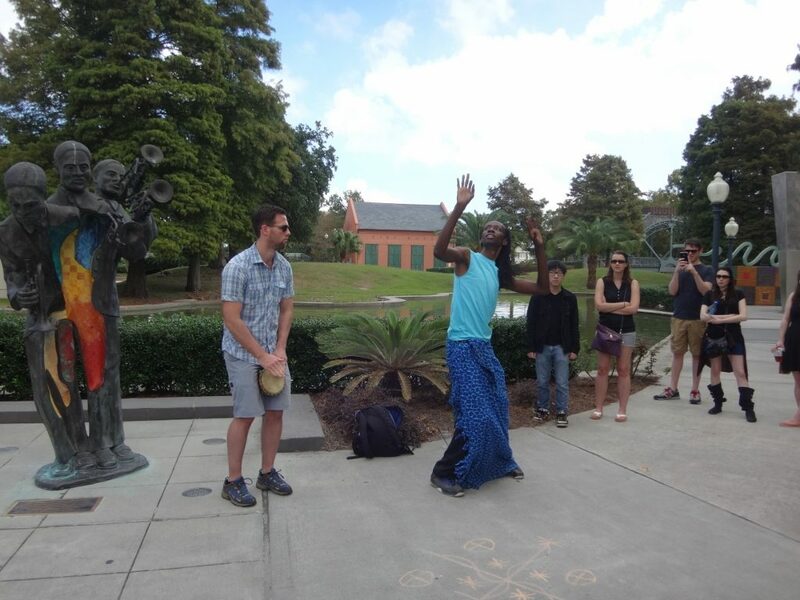 TRAVEL REVIEW: Free Walking Tour Must Do! 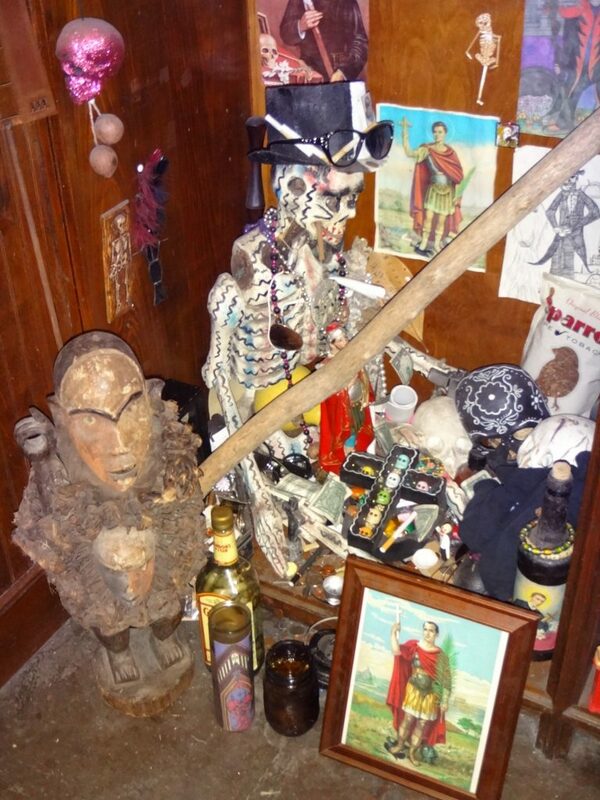 Even if you don’t believe in physic readings, a palm or tarot card reading is quintessentially New Orleans and fun experience! 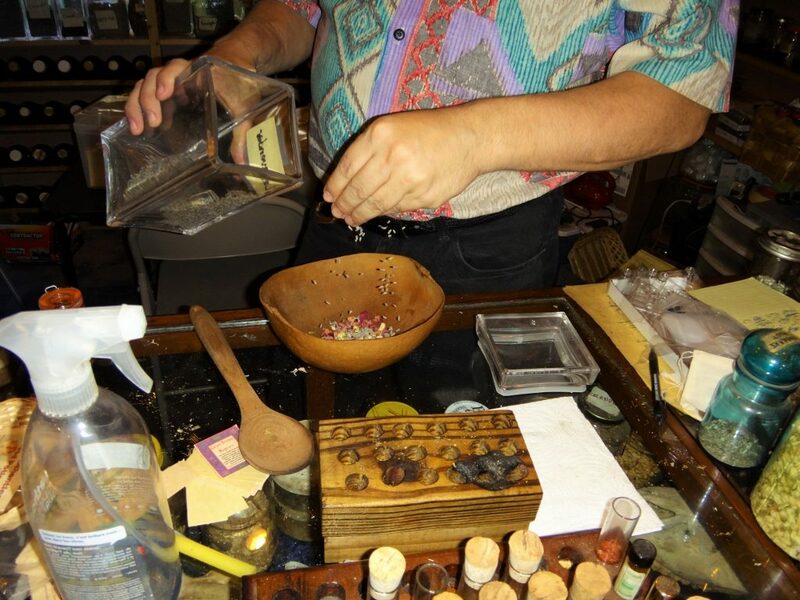 We had our readings at Hex Old World Witchery. 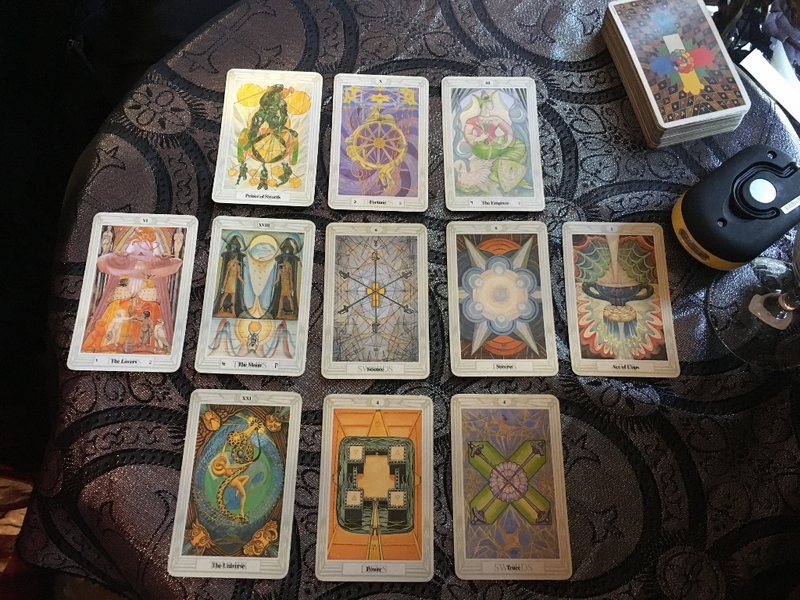 TRAVEL REVIEW: Tarot Card Reading Must Do! 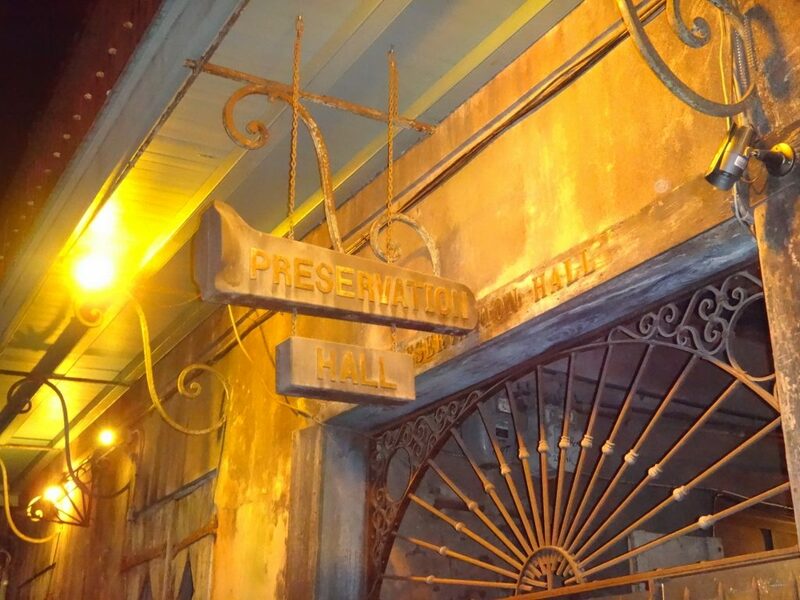 This is a small, intimate venue so make sure to buy your tickets online in advance. 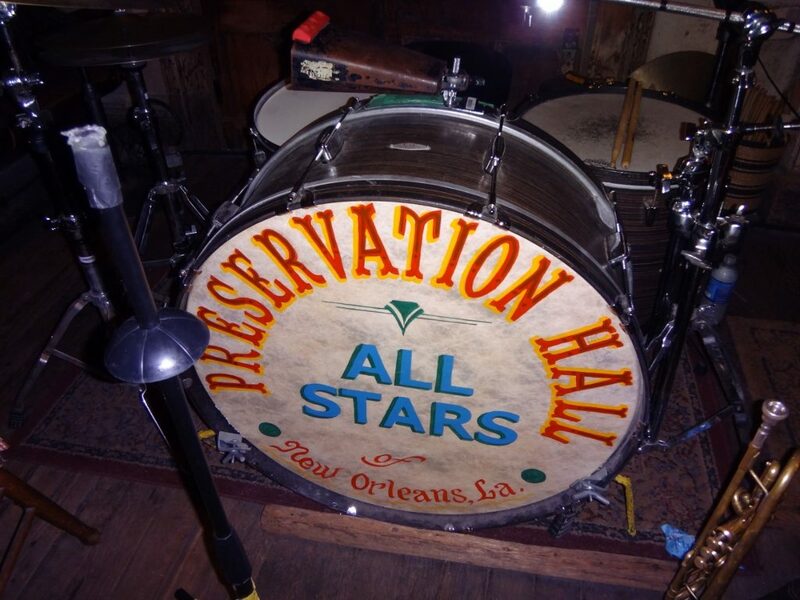 There are a few set songs and then the band takes requests from the audience. 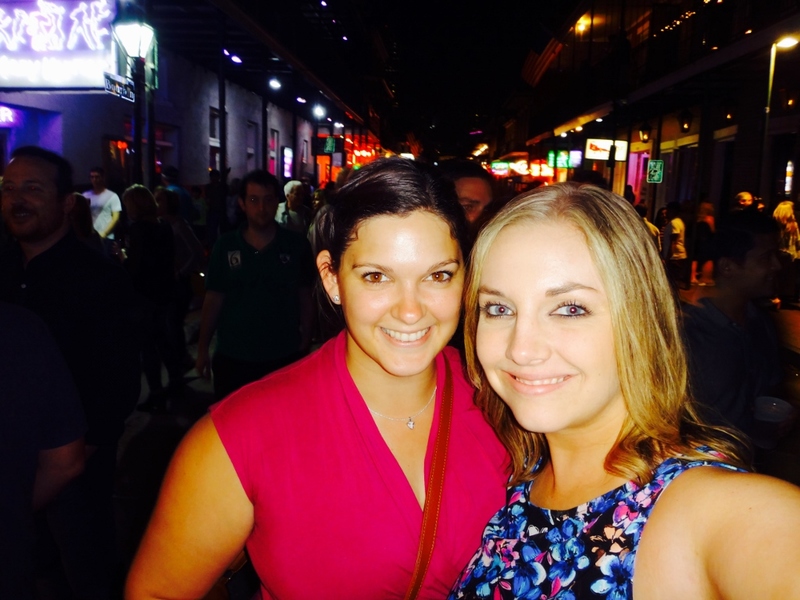 The show was remarkable! 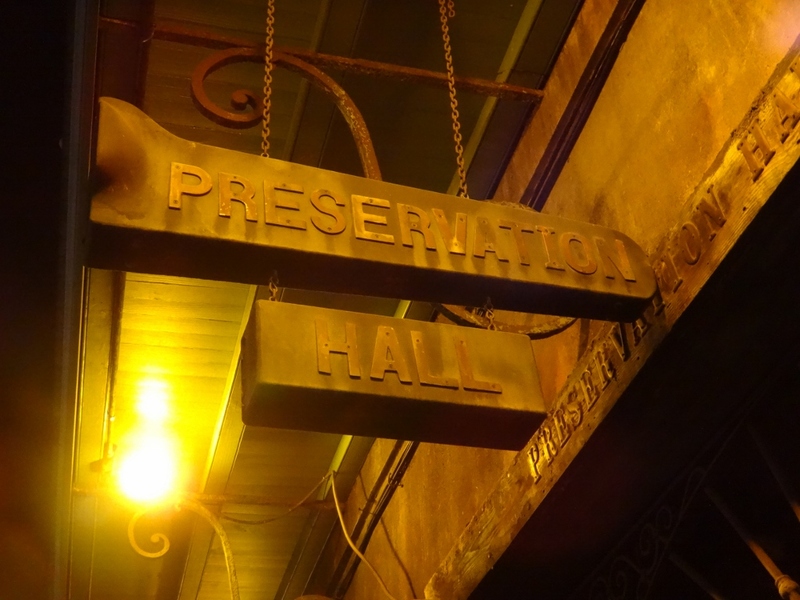 TRAVEL REVIEW: Preservation Hall Trip Highlight! 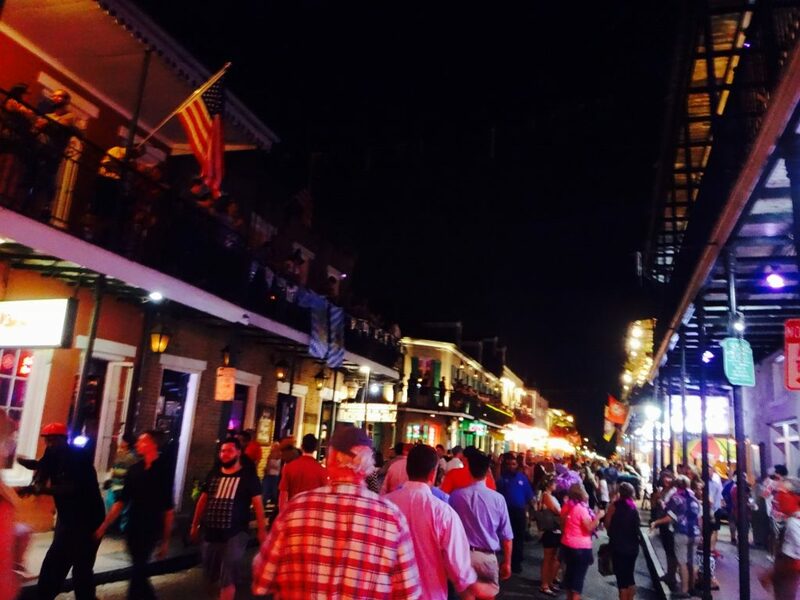 TRAVEL REVIEW: Bourbon Street Must Do! 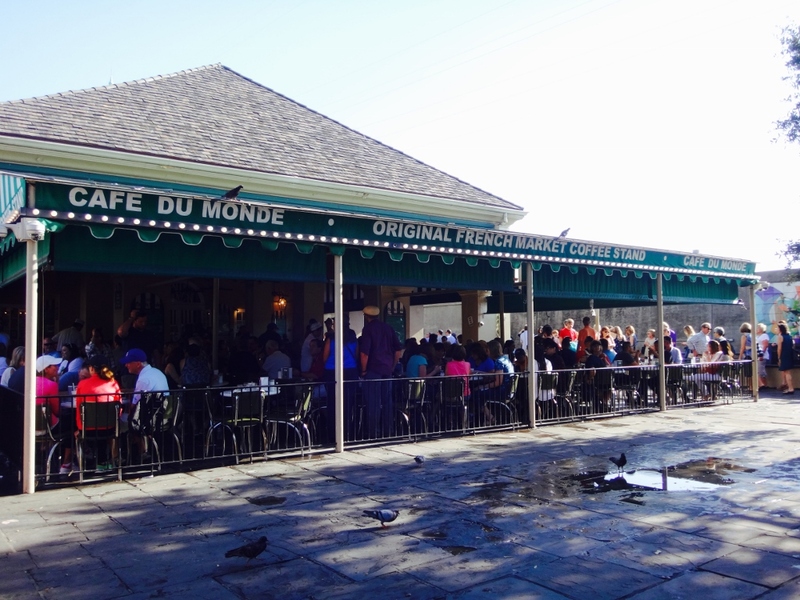 A “must do” when visiting New Orleans – having a beignet at Café du Monde! 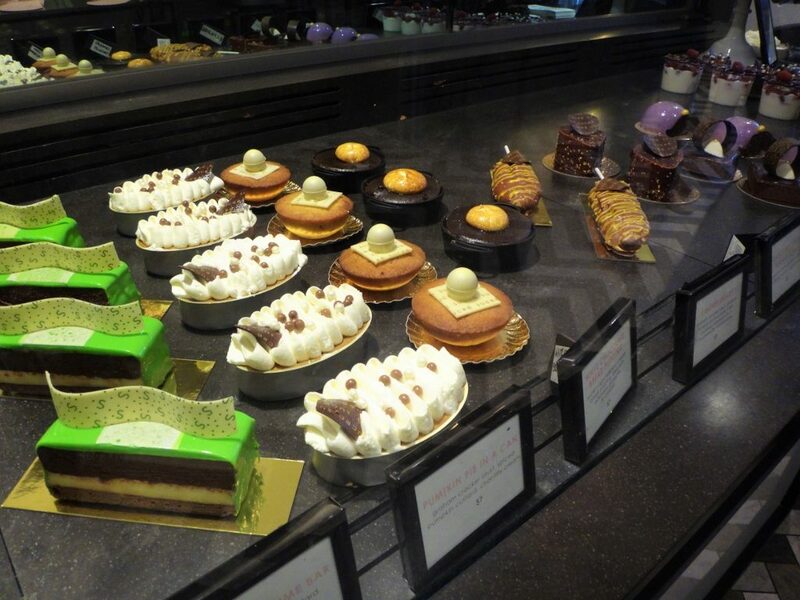 Don’t be intimated by the LONG line – it goes fast! 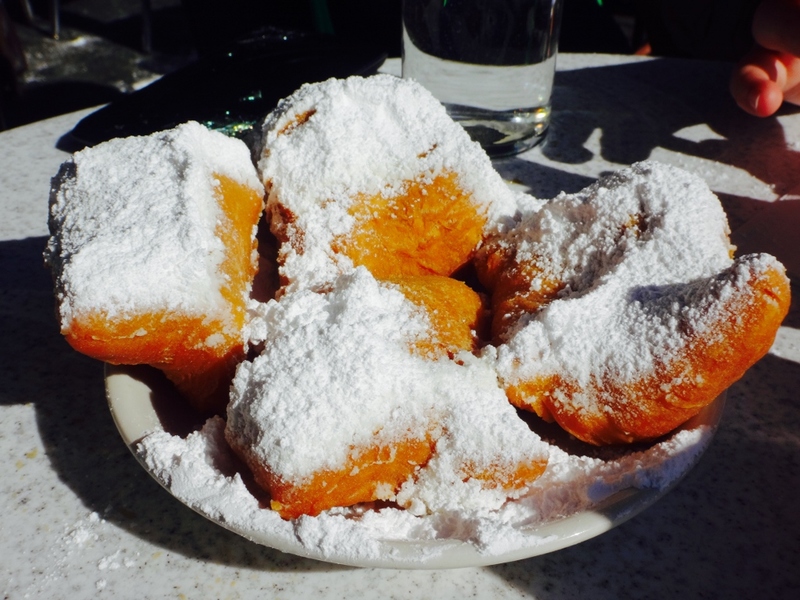 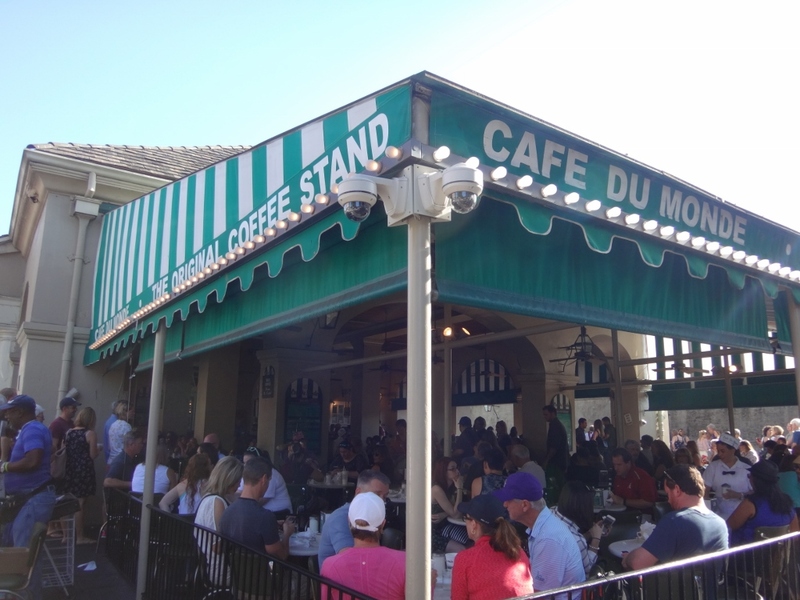 TRAVEL REVIEW: Beignets at Cafe du Monde Must Do! 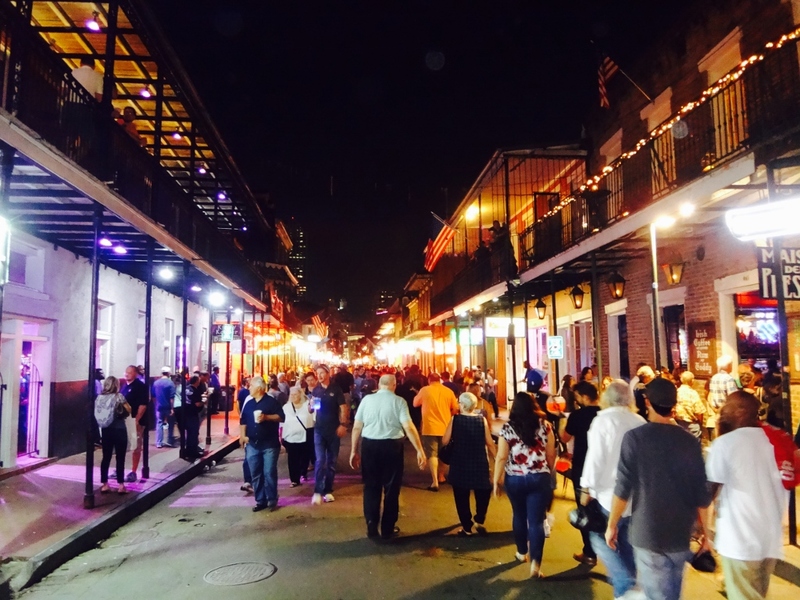 There is so much more to New Orleans than the French Quarter. 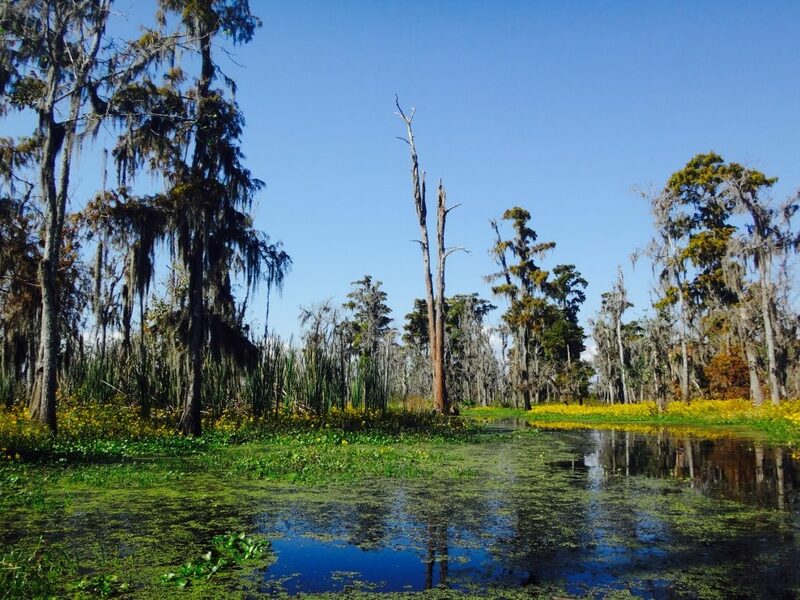 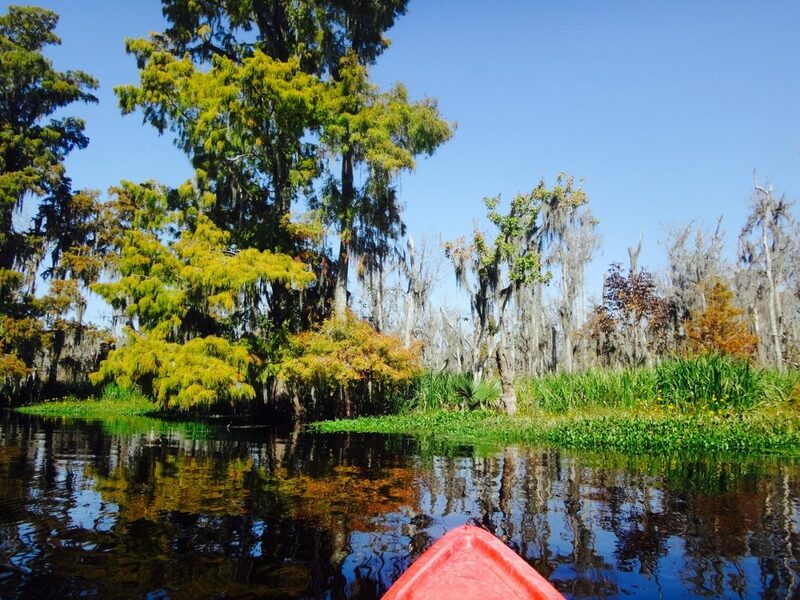 Take some time and get out of the city and onto the swamp! 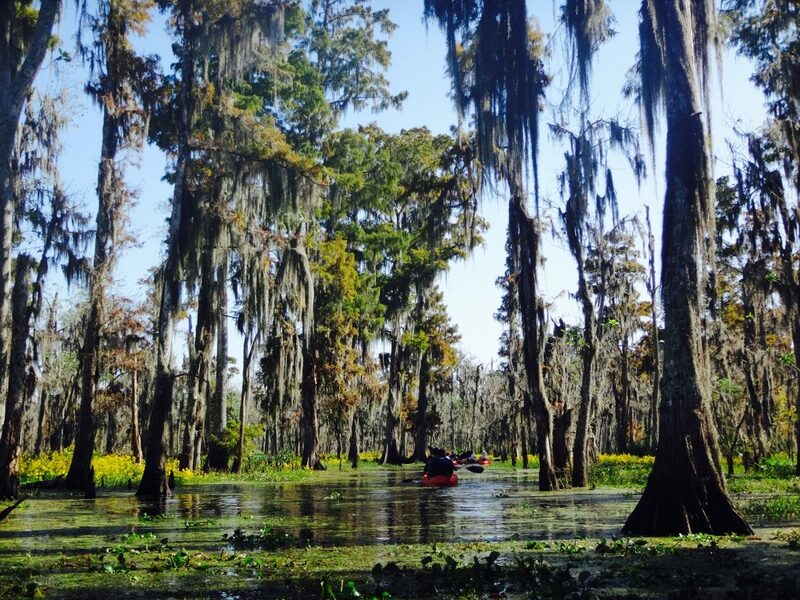 There’s no better way to see the swamp than from a kayak. 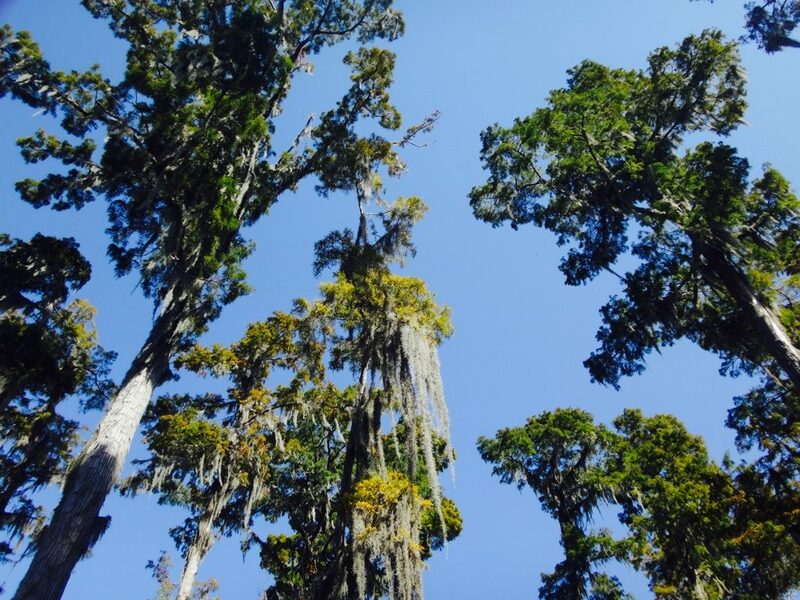 The scenery was unexpectedly gorgeous. 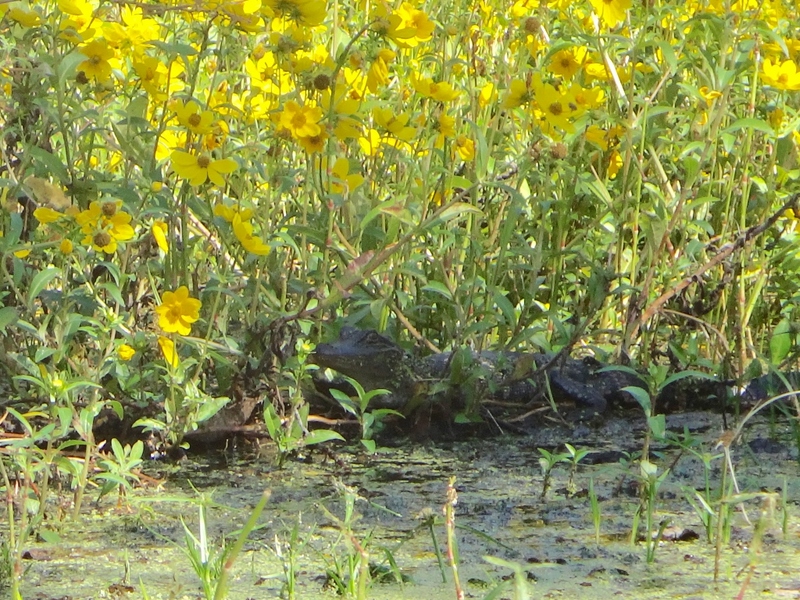 I especially loved the pop of color from the yellow flowers. 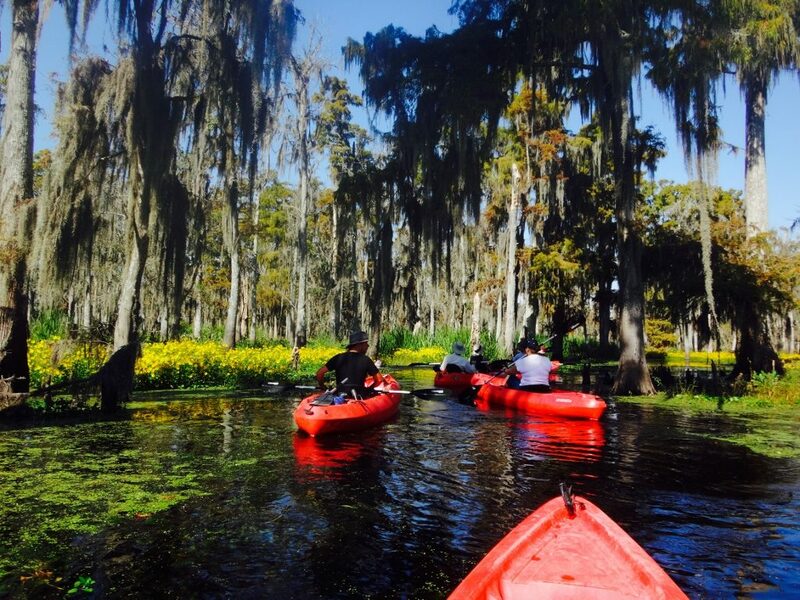 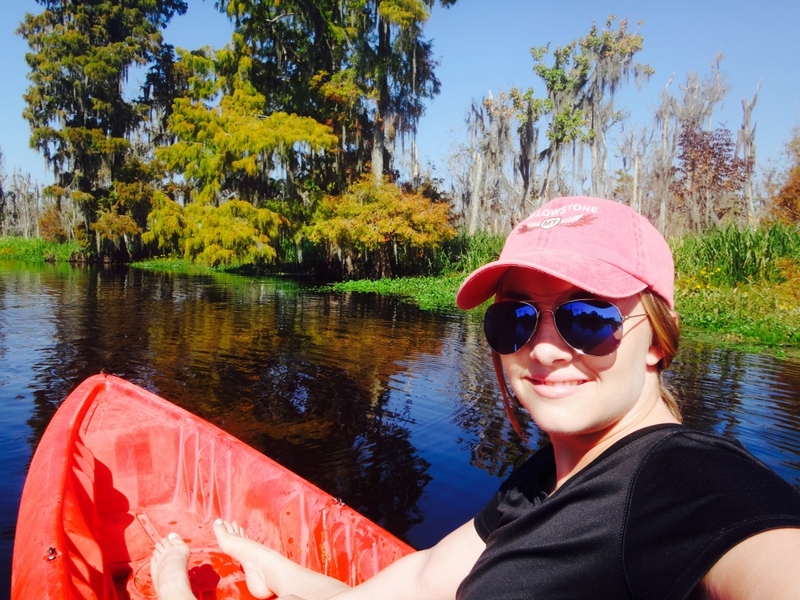 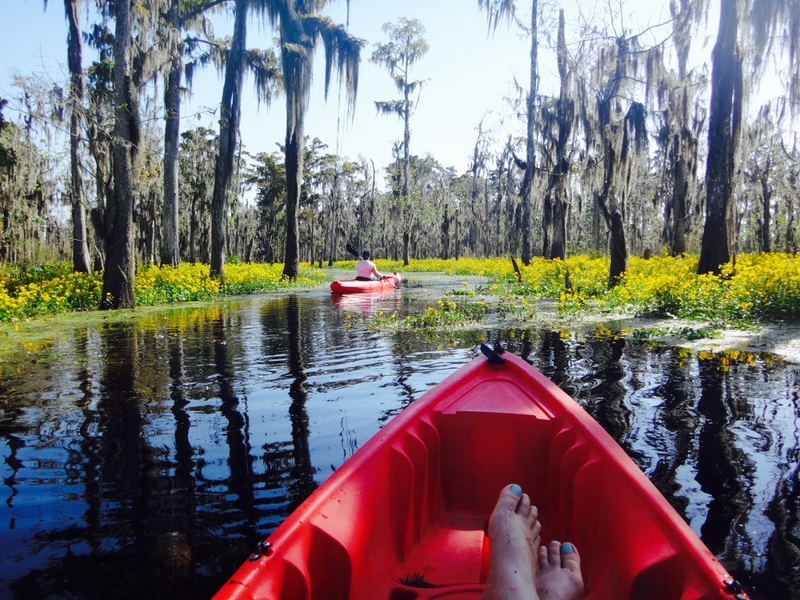 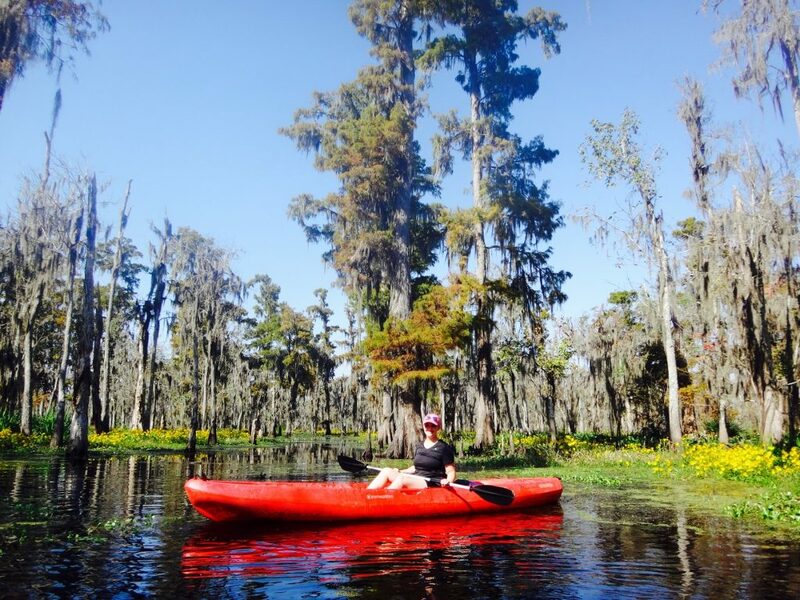 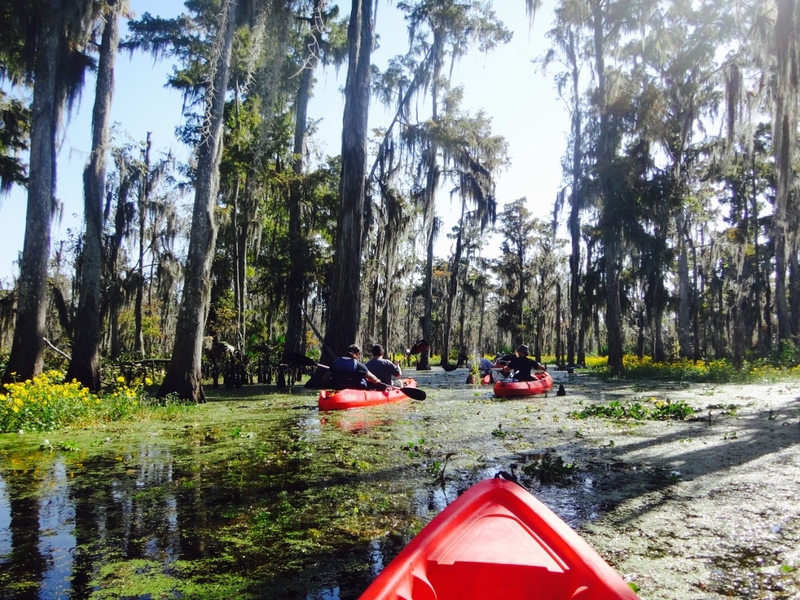 TRAVEL REVIEW: Guided Swamp Kayaking Trip Highlight! Recommended to us by the locals, Coop’s Place had some delicious creole food. 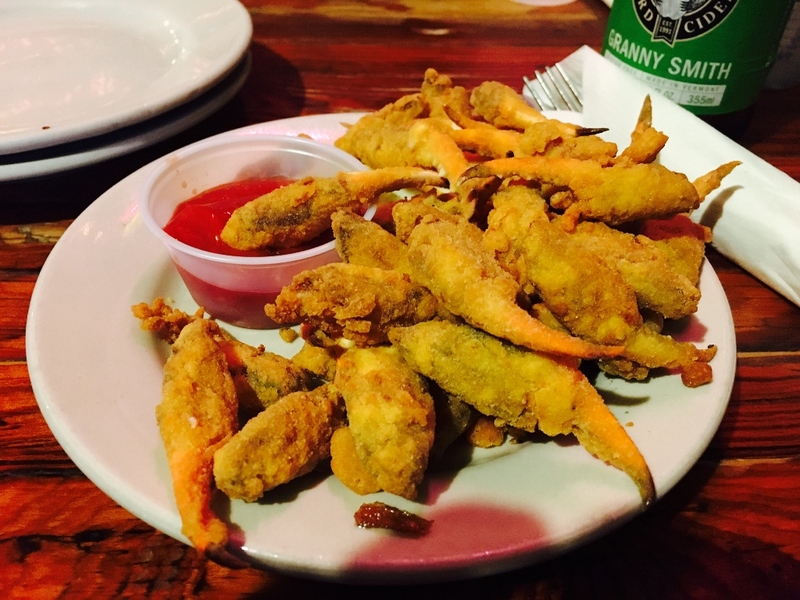 It was my first time having fried crab claws – they are now one of my favorite appetizers! 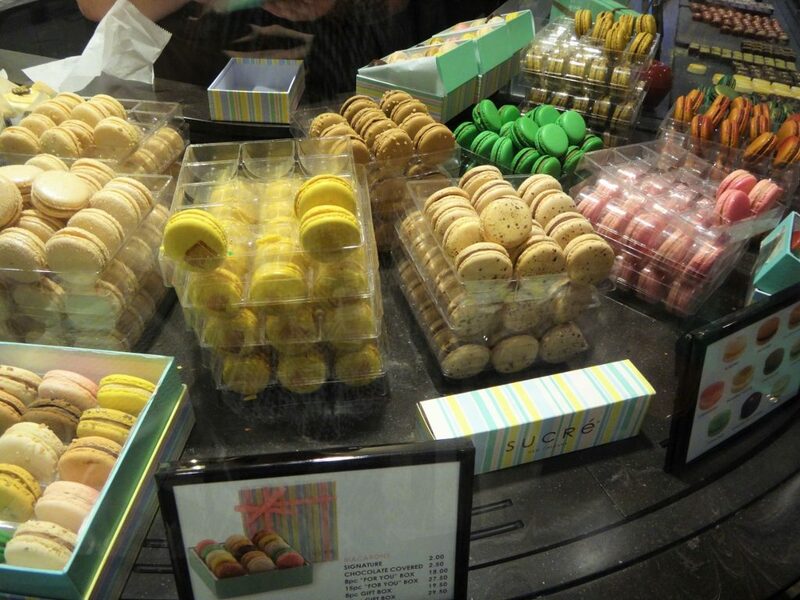 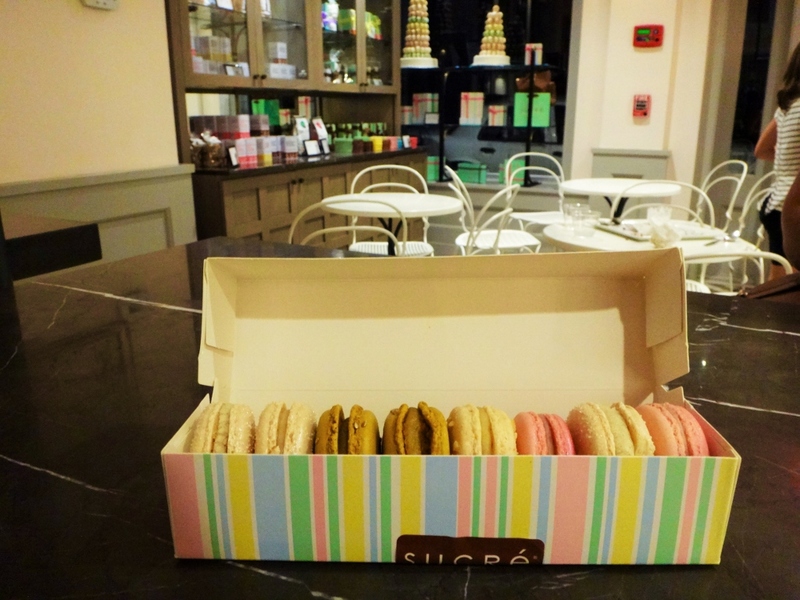 Sucré is the cutest little desert shop – they have everything from cupcakes to gelato to chocolate miniatures… and OMG the best macaroons! 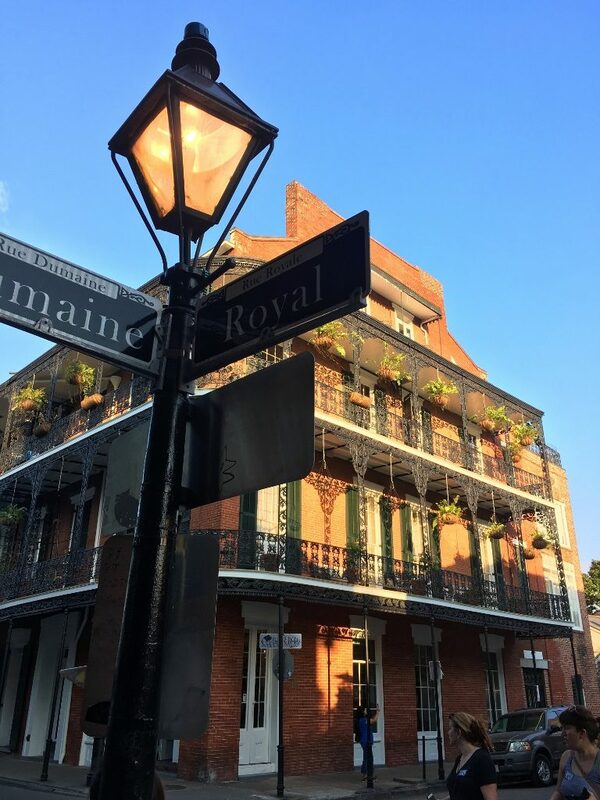 There are a few things that we missed that we would have loved to do – like a Mississippi River Boat Dinner Cruise, The Garden District, and the Lafayette Cemetery – next time! 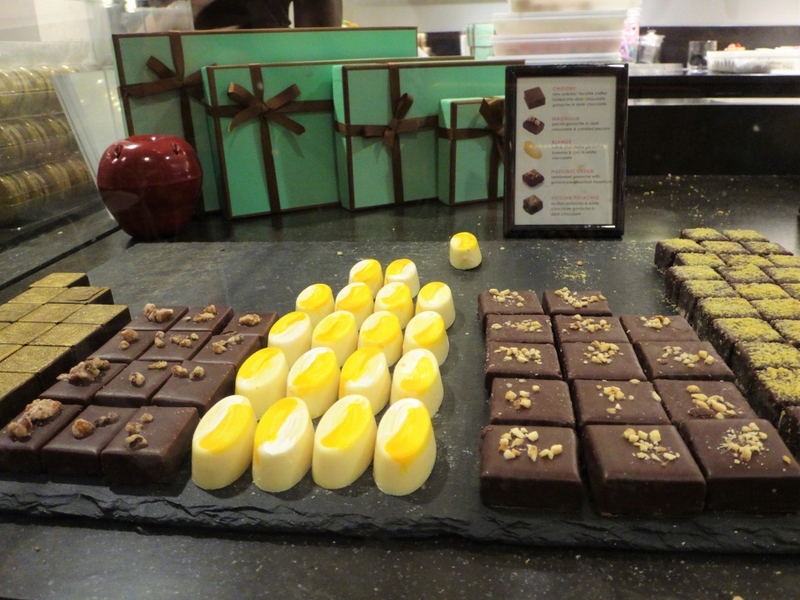 Love your blogs, the pictures are awesome, it really is very informative. 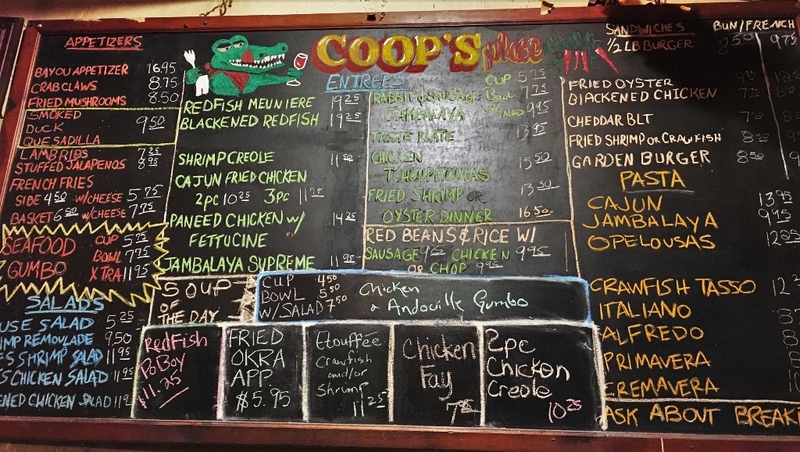 Also love the star ratings….